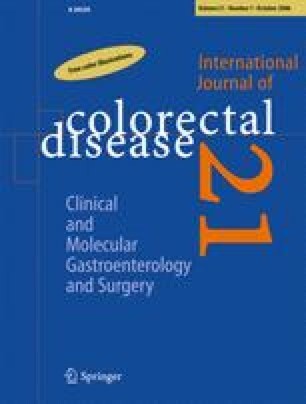 Anastomotic leakage after rectal resection is associated with high morbidity and mortality. Patients without peritonitis can be treated conservatively by transrectal rinsing and drainage. However, healing is often very slow, and formation of abundant scar tissue resulting in a poor functional result is not uncommon. Vacuum-assisted closure (VAC) has been shown to accelerate wound healing by increasing local blood flow, reducing bacterial load and stimulating growth of granulation tissue. In this paper, we describe VAC as a method for treating anastomotic leakage after rectal resection. Four patients with anastomotic leakage after rectal resections were treated with VAC. Healing time for these patients was median 51 days (43–195). The control group consisted of patients treated conservatively in the previous 5-year period. Ten patients were identified with median healing time 336 days (52–1434). VAC treatment may possibly shorten healing time of anastomotic leakages after rectal resection. However, the presented results are preliminary, with only few patients included, and obviously, larger, randomized, clinical trials are needed to confirm these results and establish the indication for VAC treatment in clinical practice. We believe VAC therapy is a promising treatment of anastomotic leakage after rectal resection.